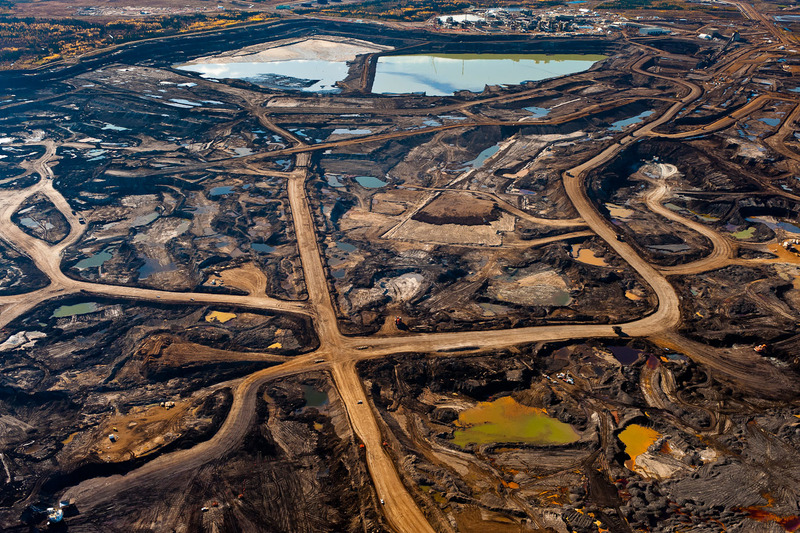 STACEY: This photograph provides an aerial view of a small portion of Canada's tar sands energy project in Alberta. The area under development for new sources of oil is equivalent to the size of Florida and England. Coming from New Brunswick, I have several family members that have gone to Alberta for work and to make “the big bucks”. They say it is an entirely different world out there. I have seen the pictures of the machines and trucks that are 3 stories high and it is almost unbelievable the size of them and the size of the whole project! One thing about the oil sands that upsets me is that because of how they have to extract the oil from the sand, they have to cover so much ground. It’s a sprawling operation. This destroys any natural habitat that was previously there. They just rip up the land, take what they want, and move on... leaving a mess behind. It looks like an oil spill on land!